Prayer changes us. Prayer calls on God to change circumstances. Prayer is powerful. Prayer brings revival. Prayer transforms God's people and brings about salvation. 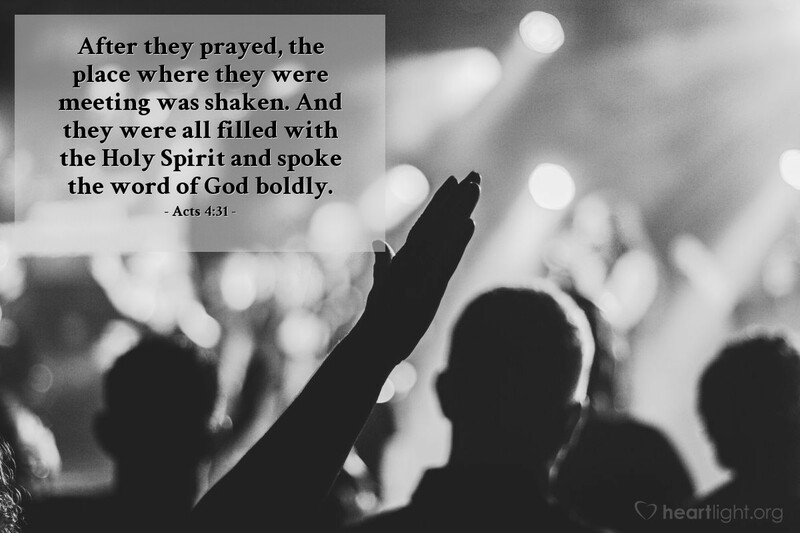 Prayer makes us bold for the Lord. So why do we find it so hard to find time to pray? Majestic God, please raise up prayer warriors who will help transform your church and who will battle Satan. Please fill your Church with the Holy Spirit and with boldness. In Jesus' name, I pray. Amen.